For a few years now, there’s been a new service in town for people looking to buy language services – namely, transcreation. Transcreation has in fact been around for several decades, though its popularity has boomed recently. One of the reasons for this is a reaction to the development of services like Google Translate, and people’s consequent perceptions (and misconceptions) of what translation is… contrasted with what they actually want. Increasingly, there is an understanding that translation is an automated process involving a simple algorithm, or a ‘painting-by-numbers’ approach to converting a text from one language into another – like a ‘cut and paste’ job. Which, as any professional translator will tell you, is not the case. 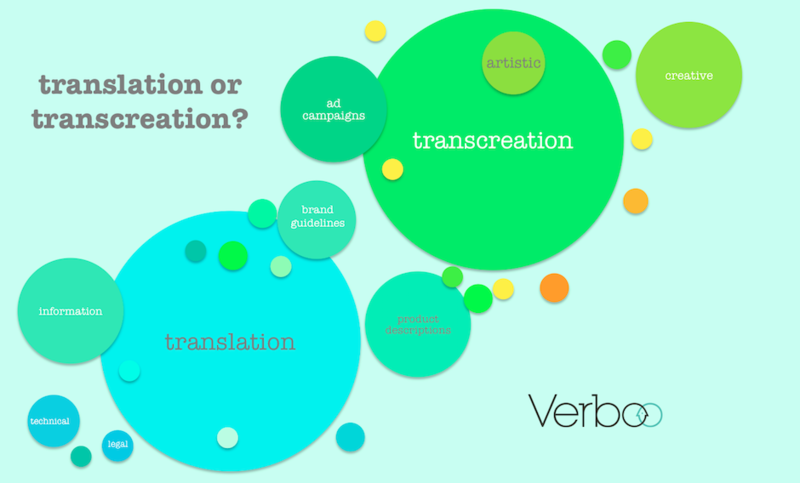 So what is the difference between transcreation and translation? More importantly, which one should you be asking for? Reputable LSPs (language service providers) will be able to recommend the right service for you based on the brief you give them. But it’s still good to know the basics, so you as a buyer can make an informed choice. A process which can benefit your marketing strategy, forcing you to ask key questions about the intended purpose of your content. Professional translation is always performed by a human, and a good professional translation should always read as if it were originally written in the target language (the language it was translated into). A professional translation should have impeccable grammar and good sentence structure, and be error- and typo-free. If there are simple mistakes in the source (original) text, then these should be corrected in the translation as a matter of course. It’s not unusual for a good translation to read better than the original text. Technical documentation consisting of lists of mechanical components, with no sentence structure (where there is no reader engagement) may be automatically translated from translation memory (built from pre-existing human translation). But even that type of text would need to be checked by a human with the relevant specialist knowledge: ideally a professional translator with expertise in the relevant technical field. Technology can make professional translation more efficient and cost-effective, but human involvement is still critical. Transcreation is a profoundly creative exercise, with practically zero technological input. That’s because the goal of transcreation is to connect emotionally with consumers in different cultures, and to translate ideas effectively, rather than simply words. Transcreation work is typically undertaken by a copywriter, and may involve substantially altering copy from the original version, so that it’s culturally relevant to the local audience. More time and effort is usually invested in a shorter amount of copy. For short copy, different routes or alternatives may be provided with explanations for the client, who often doesn’t understand or speak the local language. Transcreation can be divided into long or short copy, the common theme being that more thought goes into the process, and more artistic or creative licence can be taken with the copy than for translation. Indeed, this is often precisely what the client wants. Think of any successful international ad campaign, and the marketing copy at its heart will usually have been adapted by copywriters based in each of the local markets. Often advice will be offered by the copywriter producing the local copy on appropriate use of images and other visuals. 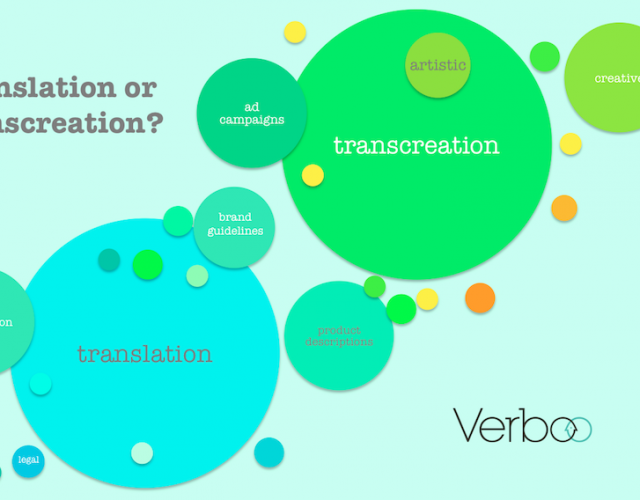 Overall, the approach is more consultative and less linear than for translation. Find out more by getting in touch with Verboo at hello@verboo.co.uk or on 0203 031 6151. We’re a team of multilingual professionals with several decades’ experience helping clients bring their content to life on any device, anywhere, in any language.